How to ask for a pay rise? This difficult conversation is one best tackled in a well-planned and structured way. Arm yourself with substantial evidence to back up your request outside of your regular appraisal. Research what the going market rate is for your job. If possible, find out what your colleagues earn doing the same job. Make a list of recent examples of when you performed particularly well. Prepare your opening line - initiating this discussion can be intimidating. Approaching them in person is more effective. Emails can often be ignored. Get your timing right. Avoid cornering your boss when they've just come out of a long meeting. Your employer will appreciate a candid conversation, so get to the point. Explain why you are there and what you hope to achieve. Explain why you believe you deserve a pay rise. Explain why you are a great asset to the company. Have some examples to illustrate your impact. Don't use a threat to get what you want - 'If I don't get this, I will leave'. It will annoy your boss and most likely hamper any progress you hope to make within the organisation. Give your boss time to digest the facts. Within a week, if you have heard nothing, enquire whether you have been recommended for a formal salary review. Put every effort into doing the best job you can - your boss may be monitoring you more closely. What if a pay rise is refused? 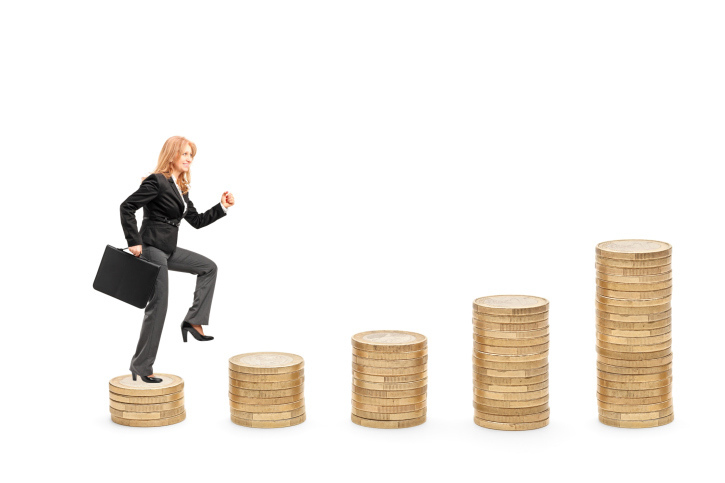 Ask what you can do in order to get a salary increase in the future. Your boss may suggest ways (such as training or mentoring) in which you can enhance your employability. Don't lose heart. The fact you asked at all is better than staying silent and feeling resentful. You may emerge from the experience feeling even more motivated. Where I've had no choice but to recommend someone for a salary review is when they have presented extensive, demonstrable evidence that they are going over and above what the business has dictated their job role should be. The discussion should be more about why the employee is working so hard and less about any threat to leave etc. What if my employee asks for a pay rise? Be a good listener. Your employee may be struggling financially and will appreciate empathy. Don't give an answer there and then. Promise to get back to the employee as soon as possible. Consider the employee's performance. Are they going above and beyond what is required? Do they mentor and train other employees, taking on responsibilities not listed in their job description? Does this employee possess unique skills that would make them difficult to replace? Review your company's finances, bearing in mind that salary increases result in compounded increases to related benefits. Discuss the issue with fellow management. If a salary review is recommended, confirm this in writing to the employee. If a pay rise is financially impossible, consider alternatives. A one-off bonus may be an acceptable reward, or review their holiday entitlement or development opportunities within the company including skills development through formal training or secondment/job shadowing. If you feel the employee is not deserving of a pay rise, be honest about your decision. Set clear expectations for the future, suggesting ways in which the employee can greater increase their chances of one day achieving a higher income.